In 1923, the Miami Valley Railroad, a subsidiary of the Virginian & Ohio, ordered 50 boxcars from American Car and Foundry. These cars had an inside length of 36' 5", an inside height of 8' 4", an inside width of 8' 6", and a capacity of 2580 cubic feet. They featured Hutchinson steel roofs, 7/7 inverted rib steel ends, seven-foot wooden doors, Andrews trucks, and K-style air brakes. The cars were delivered with MVR reporting marks. The V&O also ordered 34 of these cars, which were delivered in V&O livery and carried V&O reporting marks. Some of these cars were rebuilt at the West Carrollton shops in July, 1940 in the buildup to World War II. The last of these cars continued in service until late 1952. V&O Tool Car No. 435 was rebuilt at West Carrollton in December, 1946. It continued in service on the V&O into the late 1960s. Manufactured in the USA by Accurail, these Limited Edition HO Scale Car Kits were designed by W. Allen McClelland and produced with his permission by Cincinnati Division 7, Mid Central Region, NMRA, Inc.
Prices: $21.00 per car, or a set of four cars for $80.00. Shipping (USPS) & handling is $7.50 for one car, and $10.00 for two to four cars. Ohio residents, please add 7% sales tax on the total price of the kits and the shipping/handling fee. Customers outside the USA, please contact us for shipping arrangements and charges. Contact our Car Projects Chairperson with any questions. The Virginian & Ohio Railroad found it needed special-purpose cars to serve several on-line industries in the post- WWII economic expansion. New cars were needed to serve five paper mills on the railroad. The V&O was able to obtain 28 cars from AC&F, tacked onto a larger order for another Class I railroad. These 40’ steel boxcars were built in August of 1951, and were numbered 3842 through 3869. They were fitted with 8’-6” wide by 9’-10” high plug doors and damage-free loaders (DF-2), classified XML, and assigned for “Paper Lading Only.” These cars continued in revenue service until 1971, when several cars were converted to MOW tool cars. In 1952, the V&O needed some insulated boxcars with plug doors to serve several processed food distributors. 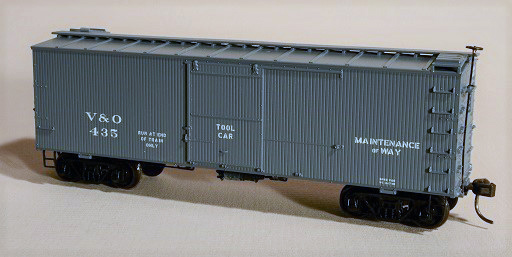 Not able to purchase ten new boxcars at this time, the V&O’s West Carrolton car shop was able to rebuild excess 40’ steel boxcars, built in late 1948, by adding insulation, plug doors and damage-free loaders (DF-2). These cars were completed in May of 1952, numbered in series 3870 – 3879, classified XFL, and marked “Processed Food Products Only.” They continued in service until 1982, when they were scrapped. Accurail’s 3100-series steel plug-door boxcars represent both these cars well. The kits come with Bettendorf-style trucks, Ajax brake wheel, AB brakes and Accumate couplers. References: Discussions with W. Allen McClelland, and “The V&O Story” by W. Allen McClelland. Four specially commissioned car numbers are offered, two originally built for paper mill service (3853 and 3865) and two for food service (3874 and 3877). Prices: $20.00 per car, or a set of 4 cars for $76.00. Shipping (USPS) & handling is $7.50 for one car, and $10.00 for 2 to 4 cars. Ohio residents must add 7% sales tax on the total price of the kits and the shipping/handling fee. Customers outside the USA, please contact us for shipping arrangements and charges. Chesapeake & Ohio 40' USRA Single-sheathed Boxcar Kit New! Arrived October 2015 The Chesapeake & Ohio Railway purchased 1,000 cars built to the United States Railroad Administration design in 1919. The St. Louis Car Company built 550 cars, numbered 600 – 1149, while Haskell & Barker Car Company built 450 cars, numbered 1150 – 1599. These cars were built with Andrews trucks, Murphy 5-5-5 steel ends and 6-foot wood doors. They were classified as B5-1 between 1926 and 1935. Many wood-sided cars were rebuilt by the C&O’s Raceland Shops in 1931. Two of the cars modeled, nos. 1153 and 1191, were among these cars. There were 986 cars remaining in service in August 1937, and 81 cars in July 1943. During WWII, a number of cars of the original series were converted to flat cars for carrying wheels, and were renumbered into a WH series. In September 1948, the remaining six unmodified wood boxcars were rebuilt in the Raceland Shops, and renumbered as series 1500 – 1505. Modeled cars 1501 and 1505 were in this group of cars, and lasted into the 1960’s. The last cars of the original 600 - 1599 series were retired in 1950. Accurail’s HO scale 4300-series model represents these cars well, with the exception of the fish-belly underframe, which can be modified to represent a straight center beam by replacing the kit’s fish-belly underframe side parts with styrene strips or channels, or simply by leaving them off. Four specially commissioned car numbers are offered, two rebuilt in 1931 (1153 and 1191) and two rebuilt in 1948 (1501 and 1505). The kits come with a vertical brake staff, AB brakes, Andrews trucks for the 1931 rebuilts, and Bettendorf trucks for the 1948 rebuilds. References: “Chesapeake & Ohio Freight Cars 1937-1946”, by Carl Shaver, with Karen Parker and Al Kresse, “C&O Color Guide to Freight and Passenger Equipment”, by David H. Hickcox, and various ORERs. Four car numbers are available: 1153, 1191, 1501 and 1505. Prices: $20.00 per car, or a set of 4 cars for $76.00. Shipping (USPS) & handling is $7.50 for one car, and $10.00 for 2 to 4 cars. Ohio residents must add 7% sales tax on the total price of the kits and the shipping/handling fee. Customers outside the USA, please contact us for shipping arrangements and charges. The Virginian & Ohio had extended their tracks west to Gauley Bridge by late 1927, and gained access to new coal fields in the area. They found more coal hoppers were needed to serve the local coal mines in this area. However, they could not afford this large capital investment until after the stock market crash in the fall of 1929, when freight car manufacturers were happy to reduce their prices for even a modest 100-car order. In November, 1929, the Virginian & Ohio ordered 100 USRA 2-bay hopper cars from the Pressed Steel Car Co. These cars were built during 12/29 and 1/30, and numbered in series 1000-1099. These sold-out HO scale cars were painted black, and featured the V&O “dog bone” herald. The model is Accurail’s 2400-series USRA 2-bay open hopper, with correct Bettendorf-style trucks. This kit came with a lever-operated hand brake, hopper door beams, door closing mechanisms and AB brakes. References: “Coal Cars – The First Three Hundred Years”, by Martin R. Karig III, “The Post War Freight Car Fleet”, by Larry Kline and Ted Culotta, and “The V&O Story” by W. Allen McClelland. The V&O graphics were approved by W. Allen McClelland, MMR. Allen authorized these cars for sale by Cincinnati Division 7, Mid-Central Region, NMRA. Four car numbers were available: 1021, 1057, 1078 and 1099. Prices were:	$18.00 per car, or a set of 4 cars for $70.00. BONUS - Decal sheets with 6 additional numbers may be ordered directly from Accurail for $4.00, including postage. An order blank for these extra number decals will be included with any order of one or more 4-car sets. Merchants Despatch Transportation (MDT) Company began building wooden refrigerator cars in 1878, at the NYC&HRR's shops in Rochester, NY. Production of reefers continued at MDT's new East Rochester (ER), NY shops in 1898, and continued for more than 60 years, with the last steel reefers built in 1959. MDT reefers were built for the NYC&HRR, NYCS, Michigan Central, NYC&StL, Rutland, Boston & Maine, CCC&StL, Lackawanna and Northern Pacific railroads, but the majority were operated by MDT Corporation or leased to private shippers, and could be seen on railroads all over the USA. This sold-out car project used Accurail's 4800-series 40' wooden reefers with fishbelly steel underframes, and Accurail's 8300-series 40' all-steel reefers, both having white sides and boxcar red ends and roofs, and feature 4" red, white and blue stripes at the base of the sides. Both cars had swing doors with three hinges. The kits were provided with Accurail's couplers and AAR Bettendorf-style trucks. The wooden reefer had a vertical brake staff, while the steel reefer had a geared brake wheel. Our wooden reefers were built in lot 673, in 1927, were repainted in 1936 at the ER shops, and operated into the early 1950's. Our steel reefers were built in lot 742, in 1937, and operated in that paint scheme into the late 1950's. Four car numbers were available: 22223 and 22465 (wood); 6270 and 6489 (steel). See also special added information on MDT and the prototypes. Prices were: $18.00 per car, with a four-car set for $70.00. BONUS - Decal sheets with 12 additional car numbers for the wood reefers, or 12 additional car numbers for the steel reefers, may be ordered directly from Accurail for $4.00, including postage. An order blank for these extra number decals will be included with any order of one or more 4-car sets. As the 1940’s began, the Allegheny Midland needed new gondolas to handle war-time increases in freight traffic. In March, 1942, the AM purchased 150 AAR Class GB, 41’- 6” inside-length steel gondolas, with fixed ends and solid bottoms, from the Ralston Steel Car Company. After the war ended, many of the original gondolas were in bad shape. The AM purchased a follow-on order of 50 additional cars from Ralston in December, 1946. The cars, painted black with white lettering, were numbered in AM series 87600-87799, and had a nominal capacity of 50 tons. In 1953, some cars of the original order were rebuilt by the AM’s Sunrise car shop. Many of these cars were interchanged with other Eastern railroads in the Appalachian region and Midwestern states. The last car was retired in 1975, although several gondolas continued to be used as MOW rail and tie cars after that date. This sold-out HO scale car project used Accurail’s 3700-series 41’- 6” steel AAR gondolas with fixed ends and solid bottoms, painted black with white lettering. The kit was provided with Accurail’s couplers and AAR Bettendorf-style trucks. It also featured a detailed interior, brake system components with piping, fine stirrup steps, and a hidden weight. Allegheny Midland graphics were approved by Tony Koester. Three car numbers were available: 87639, 87757 and 87779 Prices: $18.00 per car, with a three-car set for $51.00. After years of restrictions on new car construction during WWII, the Virginian and Ohio (V&O) recognized in the early 1950’s the need for new, larger capacity boxcars to supplement their aging fleet of 40’ boxcars. In October, 1955, the V&O purchased 39 steel 50’ boxcars, equipped with 8 feet wide plug doors. In June, 1957 they ordered another 31 cars. These cars were built to the 1937 AAR steel boxcar design, as modified in 1948, and were built by American Car & Foundry. The cars were painted blue, and had the classic ‘The Ridge Runner’ slogan emblazoned on their sides. Cars were numbered in V&O series 3700- 3769, were equipped with Evans DF loaders, and had a nominal capacity of 50 tons. Many of these cars were interchanged with Eastern railroads in the Appalachian region and Midwestern states. The last car was retired in 1982, although several cars continued to be used as MOW tool and supply cars for several years after that date. This sold-out HO scale car project used Accurail’s 5100 series steel, riveted AAR boxcar with 8 feet wide Camel plug doors, painted V&O blue with white graphics, including the Ridge Runner slogan. This kit was provided with Accumate couplers and AAR Bettendorf-style trucks. The Allegheny Midland, or Midland Road, was Tony Koester’s excellent coal-hauling model railroad before he decided to model the NYC&StL, or Nickel Plate Road. These AAR 70-ton, offset-side triple hopper cars are from a series of 500 cars numbered 39500-39999, and were built for the AM in early 1948, when the NKP bought a similar series of hopper cars. They lasted into the 1970s on the AM, and a few may still be seen in operation on various model railroads today. By the end of WWII, the Virginian & Ohio (V&O) experienced a critical shortage of hopper car capacity. 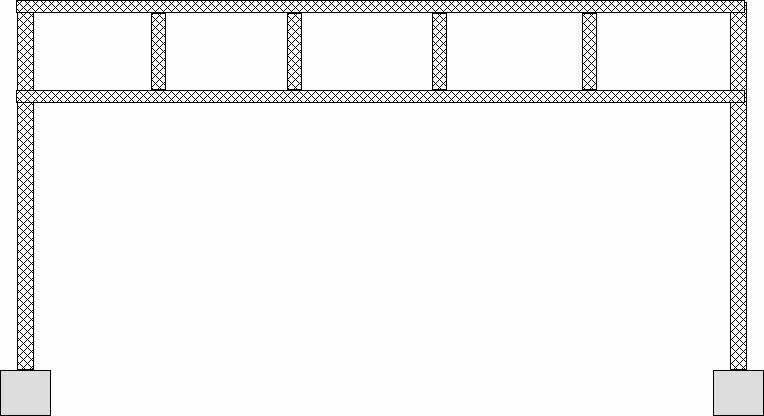 Steel finally became available for freight car production. Accordingly, the V&O ordered 100 steel, 70-ton, offset-side triple hopper cars. These cars were built to the AAR 70-ton steel hopper car design, and were manufactured by the Pullman Standard Car Company at their Michigan City, Indiana facility. The V&O accepted delivery of these cars in November and December of 1947 and January of 1948. Cars were numbered in series 1800-1899. These hopper cars were interchanged with other railroads in the Appalachian region and Midwestern states, such as the Allegheny Midland and Virginia Midland, as lake coal was moved to markets. Many of these cars were repaired or rebuilt, with some cars remaining in revenue service through the mid-1970’s. This sold-out HO scale car project utilized Accurail’s 7500 series all-steel AAR 70-ton triple hopper car, painted black with white V&O graphics. The kit included Accurail’s AAR Cast Steel trucks, Accumate couplers and an Equipco brake wheel. V&O hopper car graphics were approved by W. Allen McClelland, MMR. Allen authorized these cars for sale by Cincinnati Division 7, Mid-Central Region, NMRA. The Virginian & Ohio (V&O) accepted delivery of 130 steel box cars, equipped with 6 feet wide Youngstown doors, in September, 1938. These cars were built to the 1937 update of the 1932 AAR steel box car design, and were built by the Pullman Standard Car Co. After WWII, the V&O was short of equipment, and subsequently rebuilt 49 of these all-steel cars in their West Carrolton, Ohio shops during 1947. These were the first V&O cars to be painted blue, and the first to have ‘The Ridge Runner’ slogan emblazoned on their sides. The rebuilt cars were renumbered as V&O series 3900-3948, and were specified to be used only for “clean lading.” Many of these cars were interchanged with other Eastern railroads in the Appalachian region and Midwestern states. The last car was retired in 1972, although several cars continued to be used as MOW tool and supply cars after that date. This sold-out HO scale car project used Accurail’s 3500 series all-steel AAR box car with 6 feet wide Youngstown doors, painted V&O blue with white graphics, including ‘The Ridge Runner’ slogan. The kit was provided with Accurail’s couplers and AAR Bettendorf-style trucks. 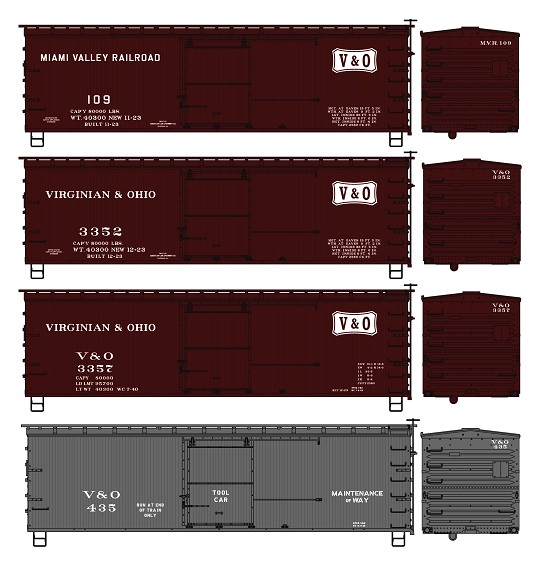 The V&O box car graphics were designed by W. Allen McClelland, MMR, and are authorized for sale by Cincinnati Division 7, Mid-Central Region, NMRA.